Retros are the original Nickel acoustic string all the way from the 1930s. 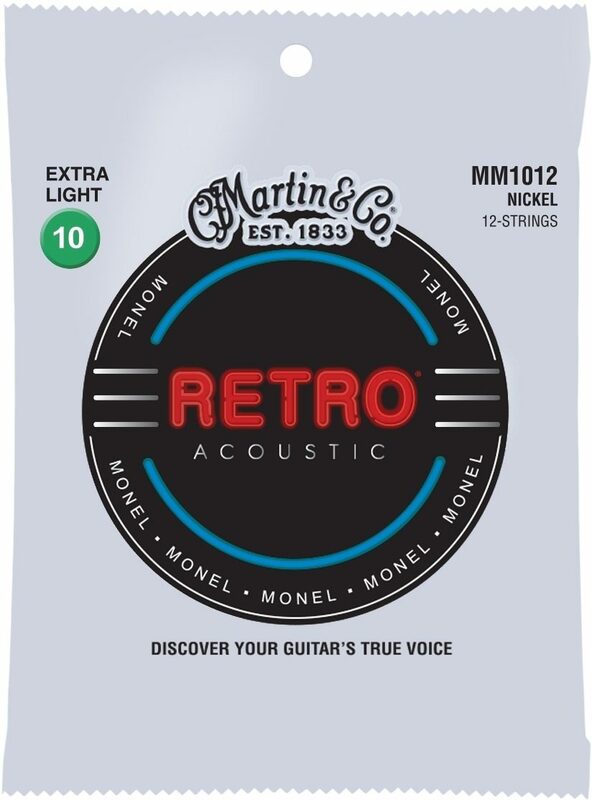 Retro strings offer a uniquely mellow, yet crisp sound that allows your guitar's natural tonewoods to be heard. They are crafted with Monel, a solid nickel/copper wrap wire - not nickel-plated - meaning there is no chance for defects in the plating to allow for corrosion. 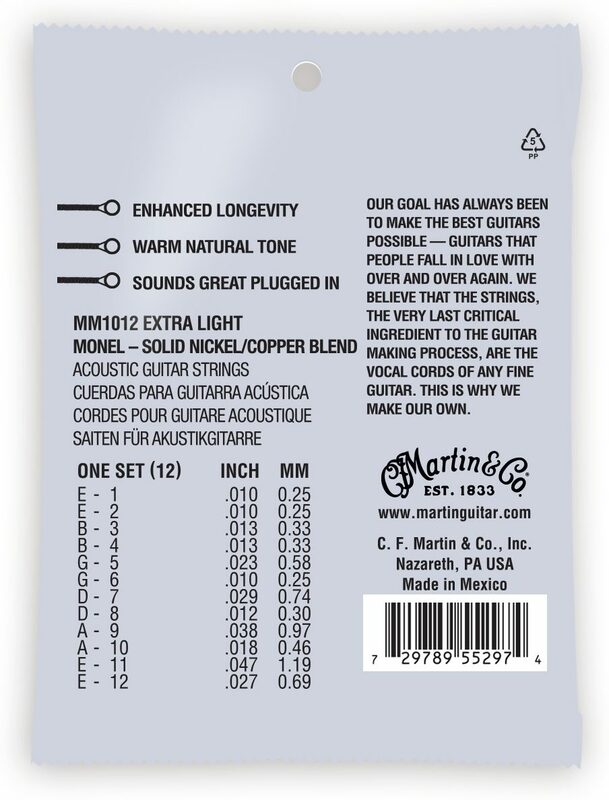 Martin's proprietary wrap wire is naturally corrosion resistant and it is incredibly strong. We also employ a sophisticated winding process that controls the coupling between the core and wrap wire to maximize intonation.